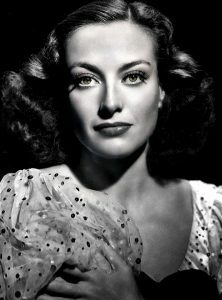 Did old school actresses like Joan Crawford really have their molars removed? And if yes, why? By Alan Chenkin, Learned about celebrities by reading the tabloids in the checkout aisle. Legendary Hollywood beauty Joan Crawford was plagued with dental problems. Undergoing a similar procedure as Dietrich and having teeth removed to accentuate her cheeks had left Crawford with ongoing problems. After the extraction, her front teeth were spaced out and filled with dentist’s cement before being filed down to be fitted with caps. This painful treatment left her uncomfortable and ultimately led to her gums becoming infected. Her whole mouth swelled up as a result of the infection and left her with a large upper lip which never returned to its normal size. She was pleased with this one side-effect and subsequently became known for her full and distinctive lips. Crawford enjoyed one of the longest and most successful careers Hollywood has ever seen but suffered with dental issues for the rest of her life. 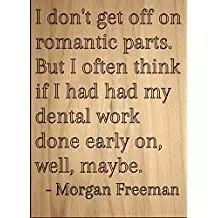 In her late 60s major dental surgery left her requiring round-the-clock medical care. (Footnotes contain information on other actors too; I highlighted the quote as it directly answered the Joan Crawford part of the question). The all-powerful studios of Hollywood were uncompromising in their quest for the perfect star. Many young actors and actresses were groomed, enhanced and tweaked beyond all recognition to ensure they fitted in with the studio executive’s idea of beauty. Some stars were expected to go further than others and Marlene Dietrich is believed to have had several molars removed to enhance her looks. As to why, that is very clear – the prettiest smiles can get the best roles and the biggest box office. 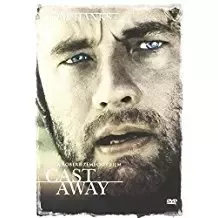 Although one film stands out – Tom Hanks in “Cast Away”. (No spoiler, you should watch it as to why I included it). May your smile never give you the troubles these stars have had! Thanks for reading my blog! Feel free to share! (Honorable Mention) Mike Myers as Austin Powers wore a set of bad teeth, and John Turturro wore a set of terrible redneck teeth in “Oh Brother Where art Thou”. John Turturro as “Pete” in “Oh Brother Where art Thou”. Thanks for reading my blog! Feel free to like, upvote, and share. Edited and expanded from my answer in Quora.